During the school year and holidays, a number of educational and social establishments call on the company for activities and projects on various topics, visits of our workshop, to meet with company members, and for off-site contributions and hands-on activities. 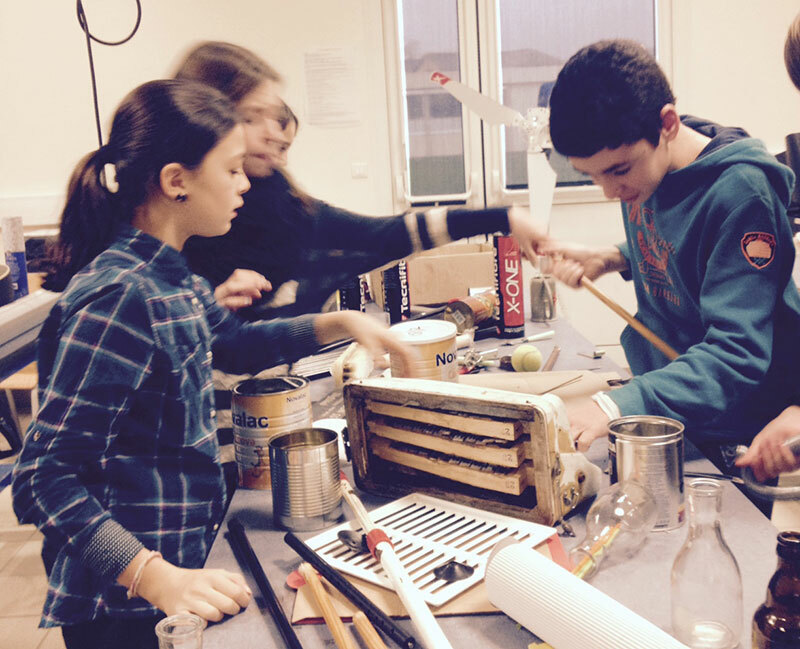 As part of the Culture and Solidarity Charter financed by the Pays de la Loire Region, La Machine Company proposes a discovery tour of its workshop and its creative work to people who are “remote” from culture. Visits of the workshop and off-site contributions are offered to social structures in the area. Since 2010, La Machine has been offering several activities within the programme Growing up with Culture, initiated by the Département (county council) of Loire-Atlantique. Every year, the Company keeps its creative work and invites into its own world two High schools from the area. Each class takes on a specific theme and students are invited to hands-on creative practice.